The product is a kind a of economical regulated DC power supply with high quality and stability. 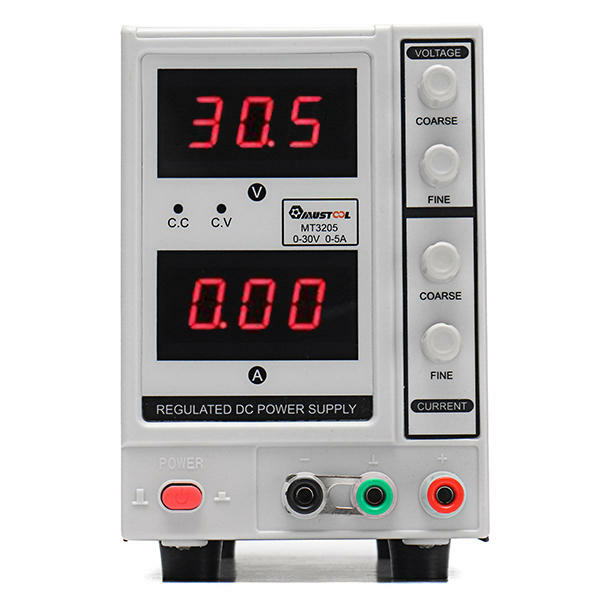 LED 3-digit voltage/current display (optional), full range overload protection, and Min voltage setup make the series the ideal choice for universities and colleges, factory production lines, electrical home appliances maintenance. Two sets of 3 - bit LED indicate voltage and current value respectively. US Warehouse accepting orders, Only $55.99!